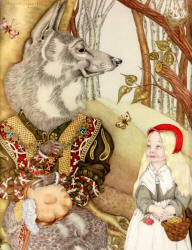 scenes from fairy tales drawn from a variety of traditions. 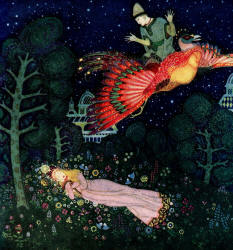 accompany enduring fairy tales by some of the great artists from the Golden Age of Illustration. dwarves, gnomes and giants, that may not necessarily be the case in all circumstances. Similarly, while many of those fantasy tales have a happy ending, that is not a prerequisite. 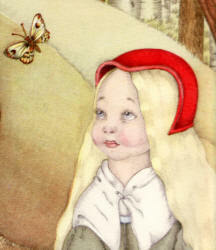 an illustration for a French version of Alice's Adventures in Wonderland. published in the 1915 Edition of Bland Tomtar Och Troll. flat-rate US$20 fee for each US$200 worth of purchases. We are able to reproduce these images in a variety of sizes and naturally, should you wish to order a Reproduction Print in another format, we welcome your contact through ThePeople@SpiritoftheAges.com. 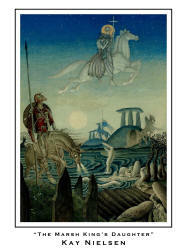 "The Marsh King's Daughter" by Kay Nielsen. 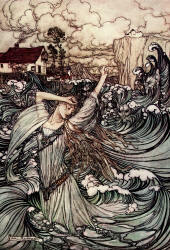 of Ringstetten and Undine, the water-spirit. 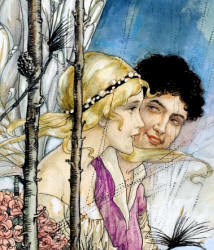 muted watercolor - a feature that is typical of the Art Nouveau aesthete. enough to repulse, but with sufficient good nature not to frighten. 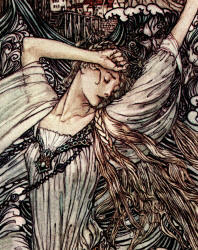 invite you to peruse our Arthur Rackham Collection. 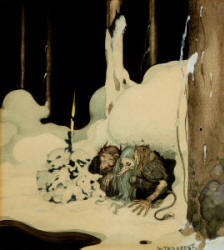 illustration is associated with the tale "The Two Brothers". 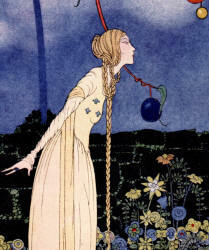 artists associated with the Golden Age of Illustration. 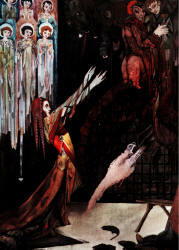 childrens' and adult books - providing illustrations to over 100 titles. 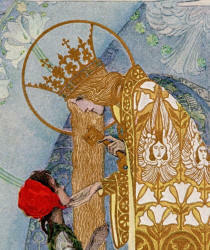 His Art Nouveau influenced work is simply stunning. 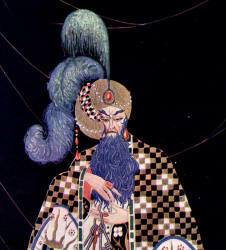 interpretations of Rubáiyát of Omar Khayyám (1909). invite you to peruse our Willy Pogány Collection. Come - she is judged! 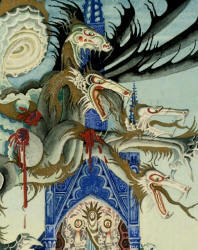 collected by the Brothers Grimm. you to peruse our Sulamith Wülfing Collection. 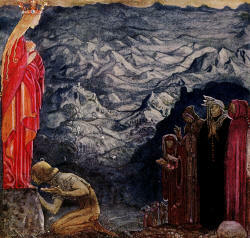 Faust - it depicts a scene described in the Chapter entitled 'Prison'. associated with the Golden Age of Illustration. 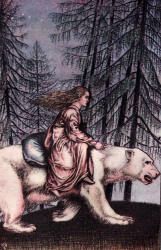 Clarke's illustrations, that title was banned in Ireland. 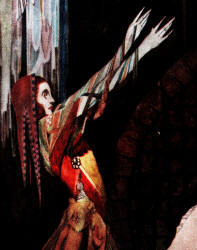 invite you to peruse our Harry Clarke Collection. 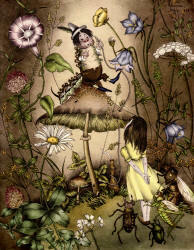 Fairy Tales - it depicts a scene described in the tale ''The Little Grey Mouse''. 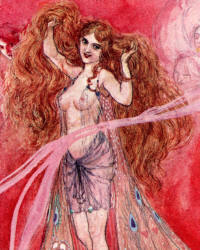 to imbibe fantasy images with the spirit of her own age. 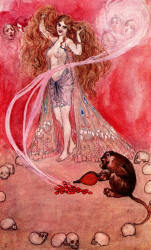 commission prior to her death - her own interpretation of Arabian Nights. 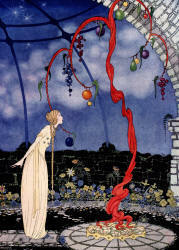 invite you to peruse our Virginia Sterrett Collection. 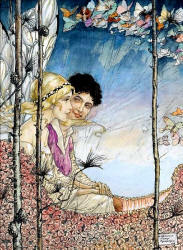 The Fairy Book (1913) and The Book of Fairy Poetry (1920). 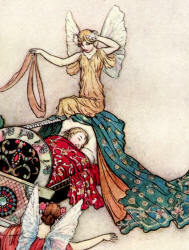 invite you to peruse our Warwick Goble Collection. 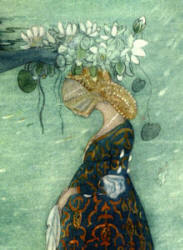 scenes and human form influenced by Art Nouveau and Impressionism. 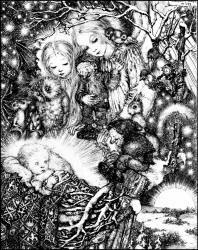 throughout his detailed monotone illustrations. 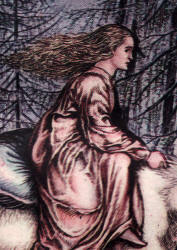 you to peruse our Dugald Stewart Walker Collection. "East of the Sun and West of the Moon". 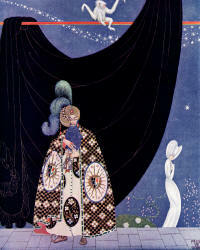 the pair are associated with the Golden Age of Illustration. monotone images were prepared by Reginald Knowles. 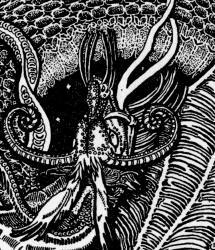 illustrations by the Knowles' brothers is magnificent. invite you to peruse our Reginald and Horace Knowles Collection. 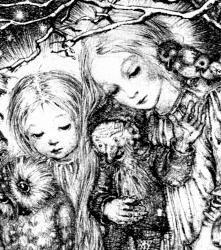 Grimm's Märchen - it depicts a scene described in the tale "Mary's Child". 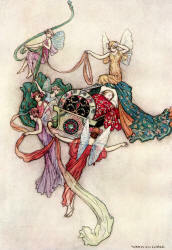 movement (the German variant of Art Nouveau). more than 20 theatrical productions. New School and Hearst Magazine Building in New York. 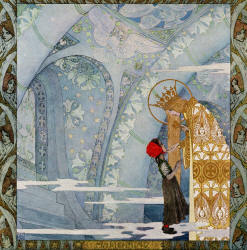 peruse our Heinrich Lefler and Joseph Urban Collection. 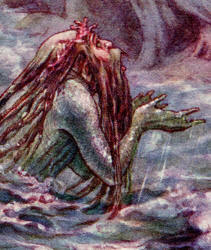 Swedish tale ''The Sea King's Queen'. attending the Royal Swedish Academy of Arts. 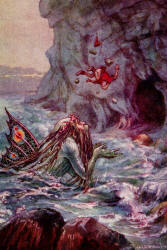 Troll until his final suite of illustrations published in the 1915 edition. Willy Pogány, in addition to modern illustrators. 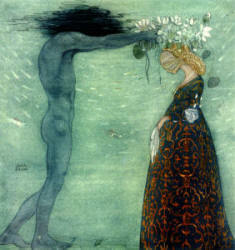 we invite you to peruse our John Bauer Collection. illustrated work that was to emerge in the 1940s. her stylistic 'coming of age'. you to peruse our Adrienne Ségur Collection. 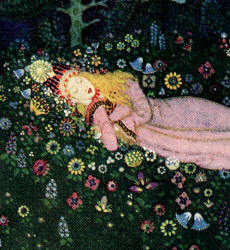 depicts a scene described in the traditional tale ''Branca Flor'' (''Snowdrop''). influenced by the British Fairy School. The Password to Fairyland (1920); and The Singing Fish (1922). invite you to peruse our Florence Anderson Collection. States and it depicts the traditional elves of his Swedish homeland. productions including Bambi, The Ugly Duckling, Hiawatha and Fantasia). 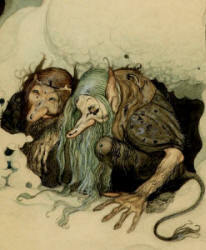 to peruse our Gustaf Tenggren Collection. beard and Snow White and Rose Red are going to his aid. 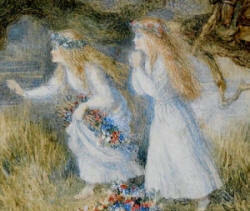 Richard Doyle (1824-1883) is among the artists associated with the Golden Age of Illustration. 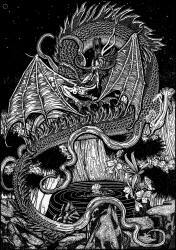 described as one of the finest examples of Victorian book production. For more information on Richard Doyle, or to view more of his art, we invite you to peruse our Richard Doyle Collection that includes some of his seminal work. from a variety of fairy tales and published in The Illustrated London News. 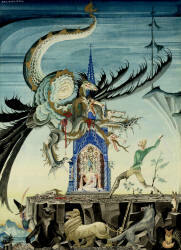 Felix de Gray is a French artist associated with the Golden Age of Illustration. His most well-known work was published throughout the 1920s. Golden Age of Illustration, we invite you to peruse our Petit Collection.